Trinity Energy Limited said it has spent 80 million dollars loan to import refined petroleum products to the country. This came up during a press conference yesterday at Palm Africa Hotel in Juba. Robert Eric Mdeza, Chief Executive Officer of Trinity Energy Limited said they used the loan to solve the acute fuel crisis that had crippled the banking system. “The loan is fractionized as a revolving facility and the amount is maximum amount was 30 million dollars and what it does is that when you access it, and buy fuel then we are given up to 150 days to repay it so we will sell the fuel and then pay the loan back so it is a revolving facility,” Mdeza explained. He emphasized that during the crisis, there was an acute shortage of fuel and that the banking system was crippled. “Trinity was unable to obtain funds locally and that’s when trinity approached the African Export import Bank (Afreximbank) about obtaining a loan in the form of import trade finance facilities with the objective of importing refined petroleum products to the country,” he added. Mdeza also confirmed that the loan has assisted in making the fuel prices reasonable in the market. “The Afreximbank Loan has positively contributed to the country’s economy and as a result Trinity has paid billions of pounds inform of taxes to the Government of South Sudan,” he said. Bol Madut, the legal officer said that Trinity Energy is also helping in job creation which is regulated by labor law of the country. 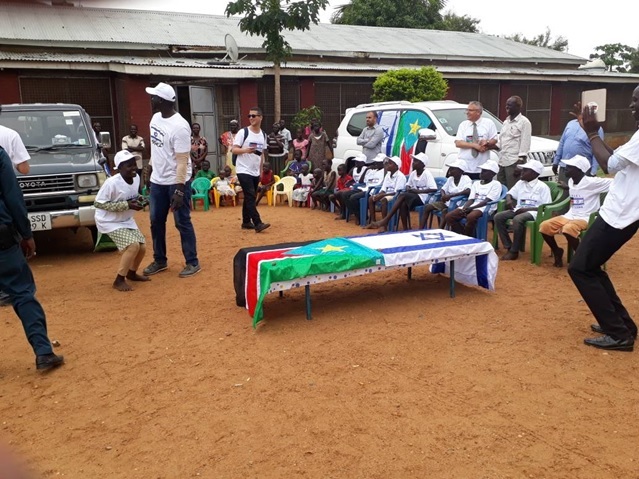 “We created thousands of jobs to women and men and also we have created job opportunities to the citizens and not only that, we also trained our young South Sudanese,” he said. However, Akol Nyok Akol Dok, Trinity Energy Public Relations Officer highlighted that there were some challenges facing the company. “Logistical problem is one of them, the banking system and also the crisis. The economic environment itself is not conductive and the issue of poor roads during the rainy seasons that makes our work so difficult,” Dok said.